We are on a regular bus route (308) to Stansted Airport. 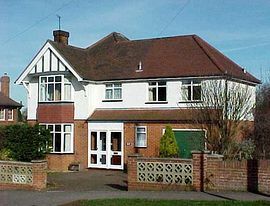 Avery House is a lovely 4* bed and breakfast with affordable prices. We offer guests the choice of 2 twin en-suite rooms or a double room with a private bathroom. All rooms are large, bright and well furnished. We provide toiletries, tea/coffee making facilities, colour TV and hairdryers. Prices also include full cooked breakfast served in our dining-room. Avery house is situated close to Stansted Airport and within walking distance of the old market town of Bishop's Stortford with its many shops, bars and restaurants. We are also within walking distance of Bishop's Stortford rail station where you can take a fast train to either London or Cambridge (journey time approx 35mins). 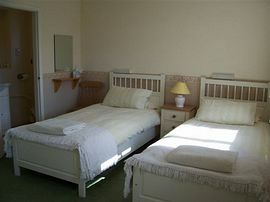 Twin ensuite room: £55.00 per room per night. Double room with private bathroom: £50.00 per room per night. This price does not vary throughout the year. Open all year except Christmas and New Year. "Beautiful Room and so comfy. Mrs Ross was so helpful and sweet. Will come back." Pilar Stark. Gijon, Spain. 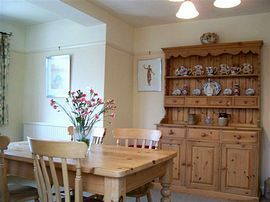 Everything a B&B should be - very welcoming, very comfortable and an excellant breakfast." Mark and Angela. Hampshire. 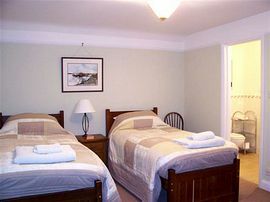 "The room is very spacious and clean. Facilities are fantastic. Jacki is most helpful and very kind. Highly recommended." W L Leung. Hong Kong. From Stansted Airport take the 308 bus to the 2nd stop in Thorley Hill. From there my house is a 2min walk.